Massachusetts house bill 4568 requires public utilities to procure 9,450 gigawatt-hours of new renewable generation, giving preference to proposals combining new in-state wind and solar with Canadian hydro, though large hydro doesn’t qualify for the state renewable portfolio standard (RPS). In 2015, New York City pledged to reduce carbon emissions 80 percent from 2005 levels by 2050, and power 100 percent of the city’s operations with renewable energy. Governor Andrew Cuomo also signaled his intention to drive New York State’s emissions down to 40 percent of 1990 levels by 2030. Both lead New York to look north to Canadian hydro. However, getting pollution-free hydro from Canada isn’t as simple as signing a power-purchase agreement (PPA) — it means utilities must build new transmission lines on both sides of the border. Several projects underway across America, including a successful Minnesota model, show the Northeast how to overcome traditional siting challenges to access Canadian hydroelectric resources. Carbon reduction: Hydroelectricity is a zero-carbon renewable resource. As members of the Regional Greenhouse Gas Initiative (RGGI) with carbon and renewable energy goals, Northeastern states pursue cost-effective renewable energy for environmental reasons, and hydro is a zero-carbon way to balance higher shares of renewables on the grid. A 2015 study by the nonprofit Center for Climate and Energy Solutions found seven U.S. states currently importing Canadian hydropower could make significant headway toward Clean Power Plan targets by importing modest amounts of additional hydro. 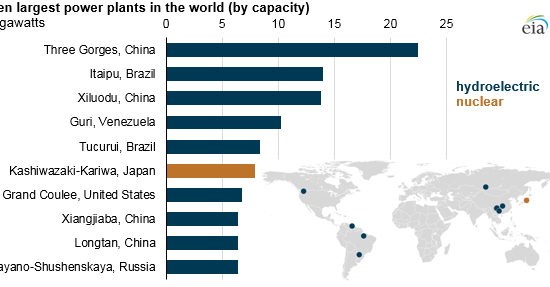 Growth potential: Canada has an estimated 160 gigawatts of technical additional hydropower potential, compared to the Department of Energy’s (DOE) high-end 13 gigawatt U.S. estimate. In contrast to the land-constrained Northeast, many potential Canadian hydro projects fall in sparsely populated areas with lower flooding and environmental impacts. Resource diversity: Massachusetts’ recent energy legislation aims at energy diversity and New York considers hydro as a necessary part of a cost-effective clean energy portfolio. Besides reducing natural gas reliance, resource diversity also reduces decarbonization costs. Many studies, including NREL’s Renewable Electricity Futures Study and California’s Low-Carbon Grid Study find least-cost renewable energy portfolios include diverse resources and geographies complementing homegrown wind and solar. Cost Effectiveness: The cost of hydro projects are highly site specific, but the best sites yield costs around $20 per megawatt-hour, making hydro the cheapest resource available in some places. Other developers, utilities, and the Governor of Massachusetts are making the case that the same will be true in the Northeast. 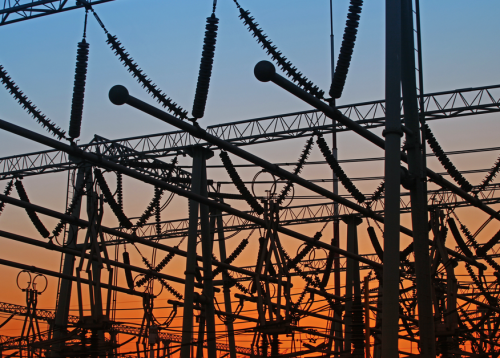 The Canadian and U.S. grids are highly connected and similarly regulated by the North American Electric Reliability Corporation (NERC). Still, new hydro projects require long-term contracts, new transmission, presidential permits and subnational regulatory approval. New international transmission requires Canadian National Energy Review Board and the U.S. DOE approval. Luckily, a recent summit between the U.S., Canada and Mexico produced encouraging pledges to increase transnational energy cooperation, including transmission interconnection, and achieve 50 percent clean electricity by 2025. Source: Zichella & Hladik, Finding a Home for Renewable Energy & Transmission, America’s Power Plan, 2013. Minnesota — a blueprint for the Northeast? The Minnesota-Manitoba Great Northern Transmission Line (GNTL) is an example of proactive stakeholder engagement and international collaboration using Smart from the Start principles producing cost-effective, streamlined access to Canadian hydro. GNTL would bring 883 megawatts of Canadian hydro into Minnesota, diversifying and decarbonizing the electricity system via a new 500 kilovolt (~1,200 megawatt) transmission line. GNTL was approved by the Minnesota Public Utilities Commission and will provide Canadian hydro at costs comparable to a new combined-cycle gas plant while increasing resource diversity, reducing carbon and limiting exposure to gas price volatility. Several reasons stand out for the line’s success. First, the state’s goals for renewable energy (25 percent by 2025) and decarbonization (30 percent below 2005 levels by 2025) created clear policy support for renewable energy projects. Second, Minnesota Power (MP) and Manitoba Hydro (MH) coordinated from the beginning, creating a mutually beneficial relationship. Besides getting size and economics right, their PPA’s novel “wind storage” provision financial mechanism takes advantage of how Canadian hydro complements Minnesota’s vast wind resource. The agreement allows MP to sell excess wind power to MH and buy hydro back later for the same price. Finally, and perhaps most crucially, MP engaged early with stakeholders on siting and permitting. To increase odds of approval, MP engaged public agencies, landowners, and local tribes well before filing any PUC application. The utility used public land when possible, avoiding conflicts with landowners, and consulted local governments despite state preemption of county siting authority. When the time came to submit a route for state and federal approval, the proposal and even border crossing point had been modified several times to accommodate stakeholders and received near universal support, including resolutions of support from border counties and the Red Lake Band of Chippewa Indians. In addition to DOE, MP also engaged other federal regulators early, obtaining letters of support from the Departments of State and Defense to bolster its case for a presidential permit, which it hopes to receive this year. Northeastern renewable and transmission developers can learn from Minnesota and apply Smart from the Start principles to suit their unique needs, but important differences remain between Minnesota and the Northeast. The land and resource constraints making Canadian hydro so attractive for the Northeast also make in-state transmission siting particularly difficult. But clear policy signals, burying or submerging lines, and using imported hydro to complement domestic renewables are driving new transmission. New lines can deliver Canadian hydro as well as wind resources from upstate New York, Maine, Vermont, and New Hampshire to load centers in the Northeast. The Champlain Hudson Power Express is a 300-mile HVDC line seeking to deliver 1,000 megawatts of Canadian hydro to New York City. Developer TDI predicts it will save New York consumers money while helping to meet New York City and State clean energy and carbon goals. 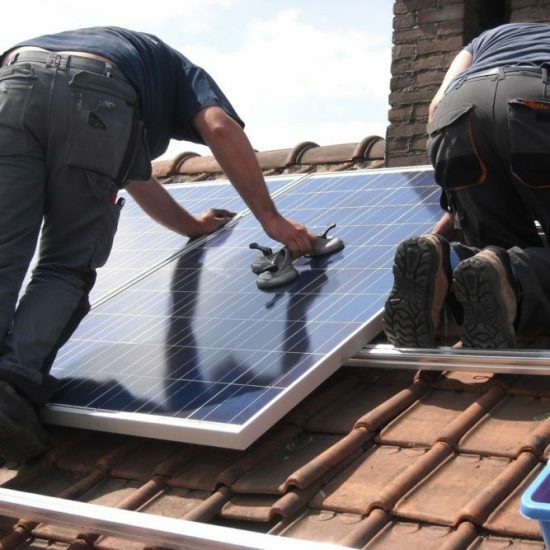 Developers cite regulators’ demand for clean energy as justification for permitting and siting investment, having responded directly to requests for clean energy development from New York City. And TDI has already obtained a presidential permit for the line. The line would be buried, minimizing landscape impacts. Typically, burying lines is cost prohibitive but using Lake Champlain waterways and parts of the Hudson River lowers costs. Twenty-four times as much line can be laid before lines need to be spliced together, because longer cable spools can be carried by boat rather than by truck (imagine a single ball of yarn to make a scarf instead of 24). For portions requiring underground burial, developers used transportation right of ways to minimize siting conflicts, a best practice followed in Minnesota and Smart from the Start. The Vermont Green Line is a similar project of independent transmission developer Anbaric linking onshore wind in Upstate New York, transporting existing hydro capacity, and delivering power to southern New England load centers in response to the New England Clean Energy RFP. Like the Champlain Hudson project, Vermont Green Line is routed under Lake Champlain and buried along existing rights of way. Developers spent significant effort engaging stakeholders, leading to a proposal to bury the line, garnering greater support and increasing chances for regulatory approval. Anbaric’s Maine Green Line project would similarly bring Canadian hydro and Maine wind across the Gulf of Maine 220 miles into Plymouth, Massachusetts, with no visual impact and relatively low cost. Anbaric seeks to incorporate Canadian hydro suppliers and deliver Maine wind to load centers in the Northeast. Combining complementary resources ensures the line is full more often, spreading costs over more customers and generators. What can policymakers and developers do to optimize hydro for the Northeast? Consider how Canadian hydro can best complement local renewable resources to improve resource diversity and local support for transmission development where it’s needed. 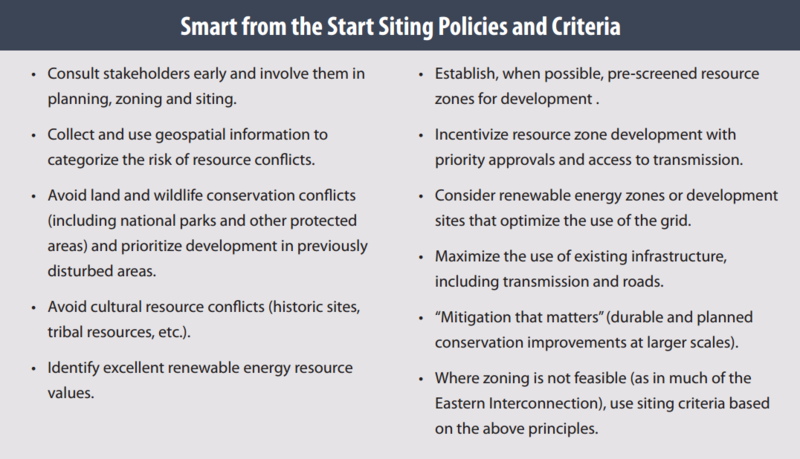 Examine Smart from the Start criteria and require utilities, developers, and state permitting authorities to follow the principles when determining where to site needed transmission. Seek presidential permits early and seek support from other national agencies. Leverage momentum for international transmission created by recent pledges from U.S., Canada, and Mexico. In land constrained areas, use existing rights of way for transmission pathways. Consider waterways and burying lines where overhead lines are undesirable or politically impossible. Encourage domestic renewable energy and transmission developers to coordinate early with Canadian partners eager to find markets for exportable renewable hydroelectricity. Thanks to David Moeller, Josh Bagnato, and Sonia Aggarwal for their input on this piece. The author is responsible for its final content.